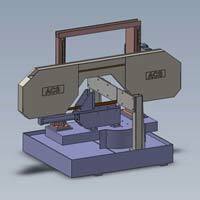 Our model number ACS DCM of Manual Double Column Bandsaw Machines are widely acknowledged for their high performance and sturdy construction. 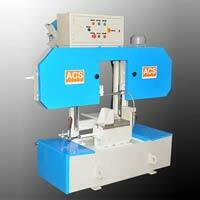 Fabricated using qualitative raw material these machines are available various specifications. Manual arrangement for main vice clamping & blade tension. Friction type rotating cleaning wire brush. Available from 220 - 300mm cutting capacity. To enquire about the desired product(s), just check the box and then click âï¿½ï¿½Enquiry Nowâï¿½ï¿½ button which is provided below.